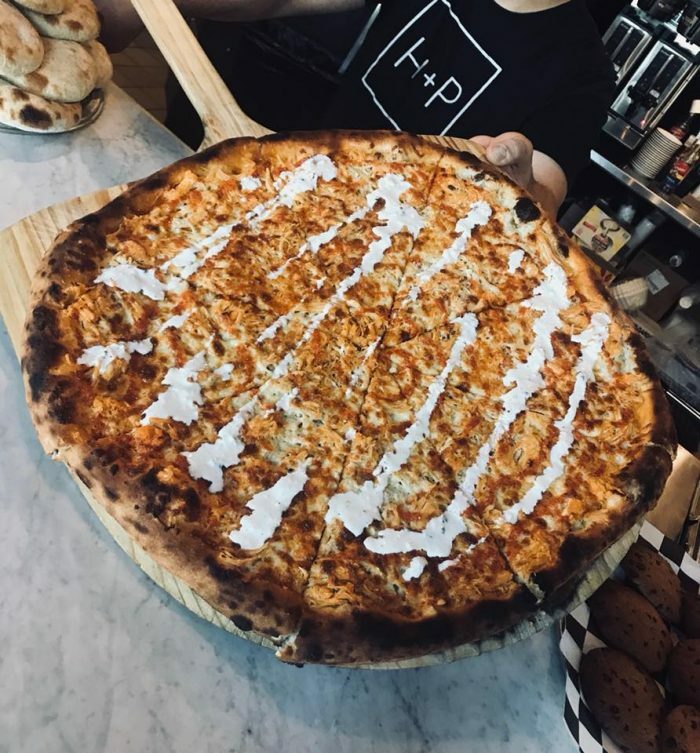 If Buffalo takes anything as seriously as it does its wings, it’s pizza. We’ve literally made it into a sixth food group- with more than just your classic pizza shop cheese and pep. 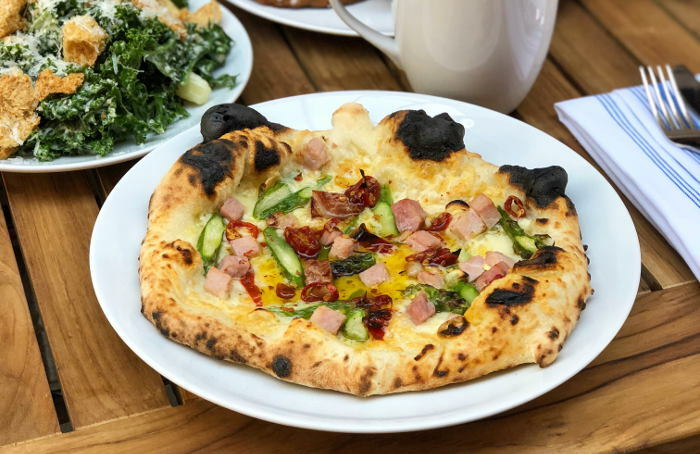 Brick ovens are taking pizza to a whole new level – or maybe it’s back to the basics, depending on how you look at it. Either way, we’re not complaining. Thin, charred crust pie with all the fresh toppings imaginable- it’s fancy af AND delicious. 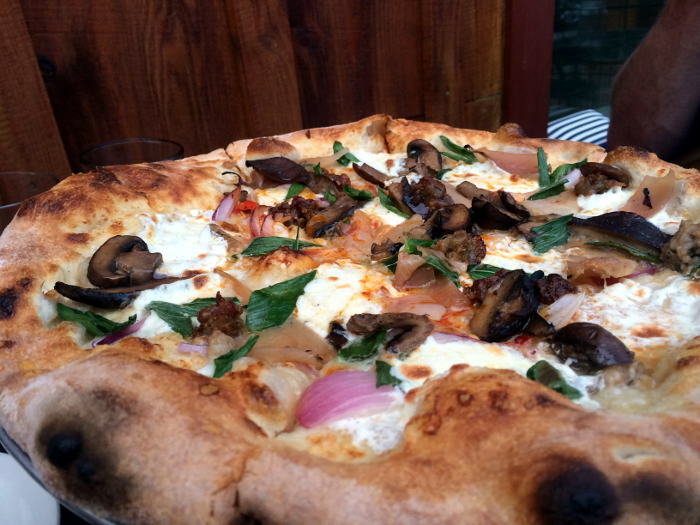 Here are some of our favorite spots to get brick oven pizza around town. Think we missed one that should be added to this list? Email us at editorial@stepoutbuffalo.com. Ever since they opened with that big brick oven behind the counter, there’s been pizza at Elm Street. And ever since then, it has truly never disappointed. Get it during lunch or dinner service and expect refined flavor combos that melt in your mouth. 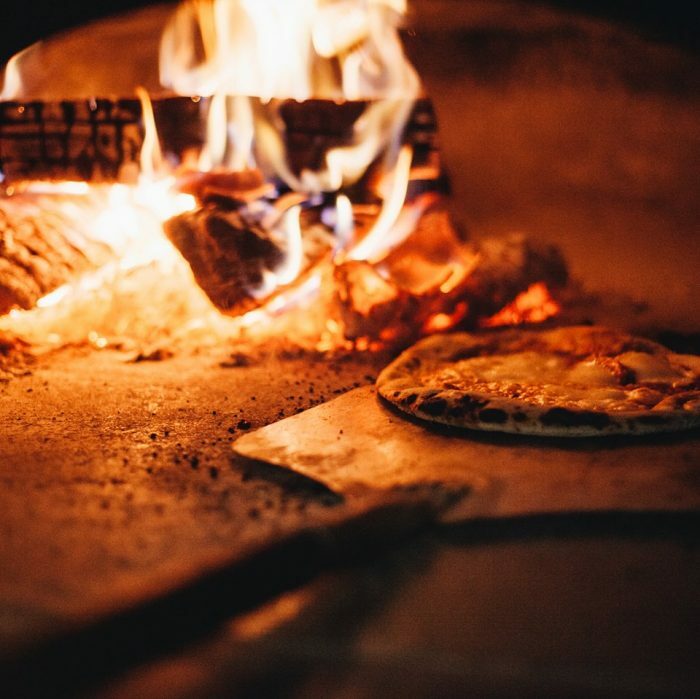 Their 1000 degree stone hearth oven labors Monday through Saturday (and sometimes Sunday) from 10am to 10pm cooking up absolutely GORGEOUS thin-crust pies! Sitting at the bar, you can get a front-row view of the process, but the oven is visible from just about every seat in the house. This place is perfect for just about any occasion- whether it’s a casual lunch break, happy hour, or date night! Woodcock’s entire menu is crafted from scratch (beer and all) with a special kind of brotherly love. The wood-fired pizza is right on par with the beer- and it is phenomenal. 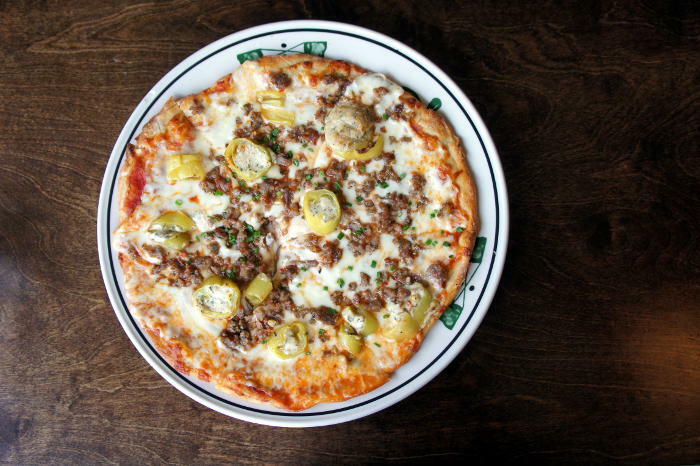 We highly recommend trying out the stuffed pepper or beef on weck pizza -or both. PSA: They are currently working on a second location in the Wurlitzer building in North Tonawanda and we’re pretty freakin’ excited about it! This is another spot that takes their pizza toppings just as seriously as the cooking method. Find options like Beef on Weck, “The Brick Mac”, Reuben, and this Stuffed Hot Pepper. BTW gluten free pizzas are available for $2.00 more. 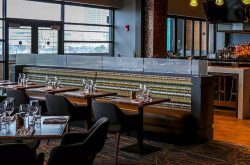 This trendy, industrial and rustic brick-walled bar/restaurant focuses primarily on their specialty hearth oven-cooked pizzas. They’ve got 12 to choose from (including a Vegan option and gluten free)- and none of them will disappoint. 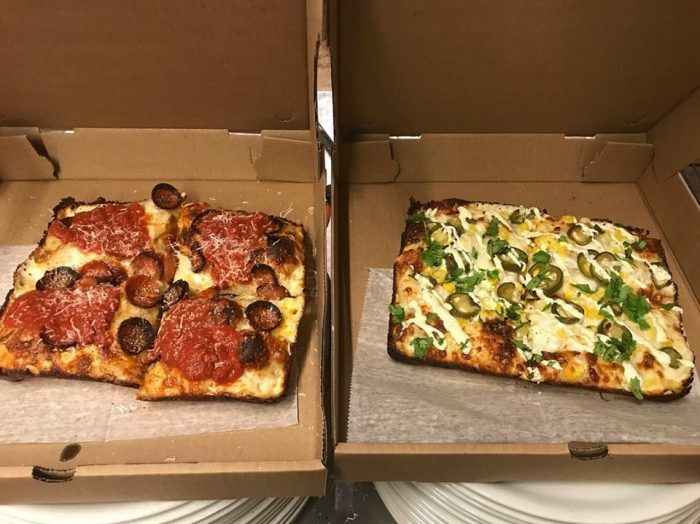 Aside from the pizza, they’ve got pairable beers brewed in-house by Community Beer Works (okay, so now there’s really no reason for you not to go)! If you’ve managed to visit when these guys aren’t sold out for the night, you’ve hit the jackpot for modern neapolitan pizza. The pies here are incredible- especially if you’re a sucker for a solid crust. The pie toppings are so fresh and creatively paired- you’ll want all of the pizzas when you get a look at the menu. Oh, and did we mention they’re also on Skip the Dishes? You can literally order right now, people. If you’re seated at the chef’s counter, you’ll get to catch the entire process of your pizza, from the dough tossing to the wood-fired oven. And the pizza itself will have your mouth watering. 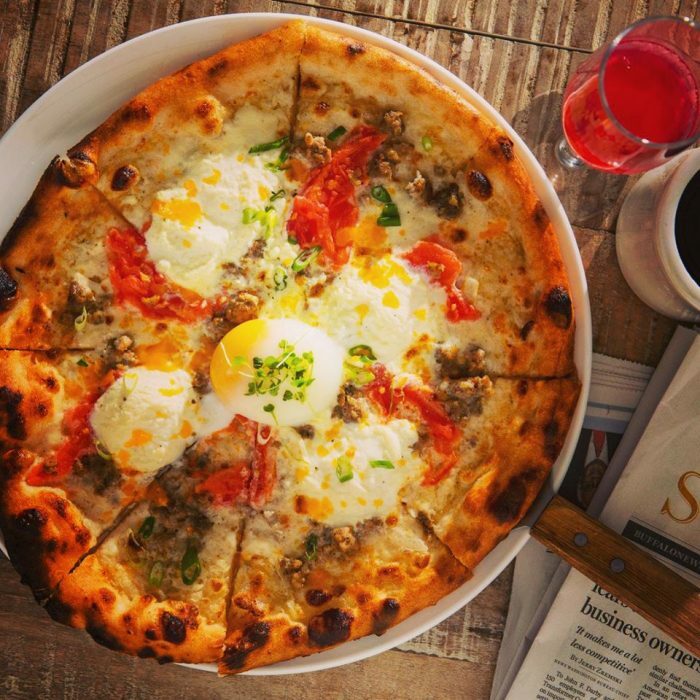 *Plus, they’ve even got breakfast pizza for all of you brunch-lovers out there! That gorgeous white-tiled oven isn’t just for show! It’s cooking up some heavenly pizza pies with all locally-sourced fresh ingredients. Don’t expect to share one either, you’re going to want the entire thing all to yourself. It’s served for both lunch and dinner. With owners in common with Siena and 800 Maple, you know from the start that Rocco’s Pizza is gonna be good. 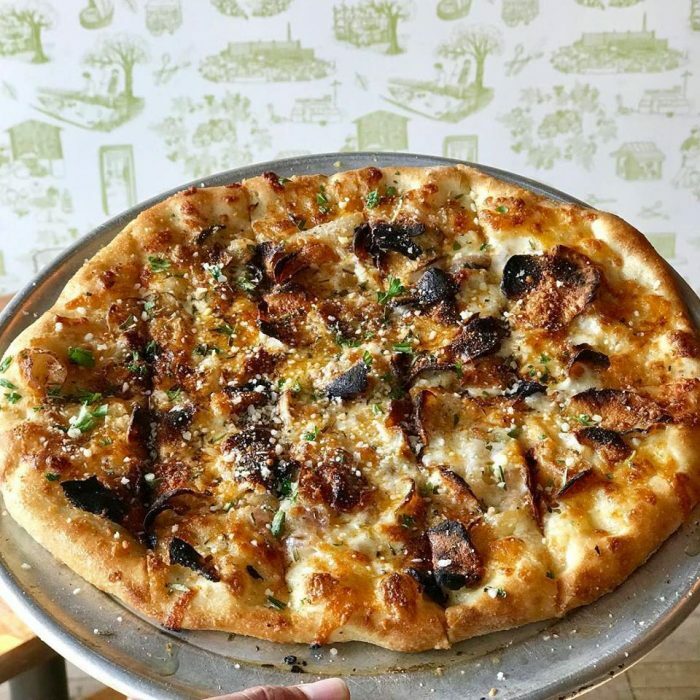 A wood-fire oven is at the center of their Italian menu, which also features roasted wings, eggplant parmesan, rapini and sausage, meatballs, beans and greens, and more. This family business that started in 2011 with a single mobile unit and in 2012 opened a Brick and Mortar on Grand Island. 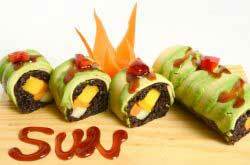 They now we have 4 units and are looking to open another Brick and Mortar. 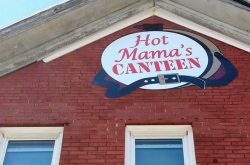 They offer authentic Wood Fire Brick Oven Pizza, Subs, Oven Baked Chicken Wings and Boneless Wings, Fresh Salads, Home Made Pizza Logs, Cannolis and more. Specializing in the finest craft beers and true brick oven pizzas. 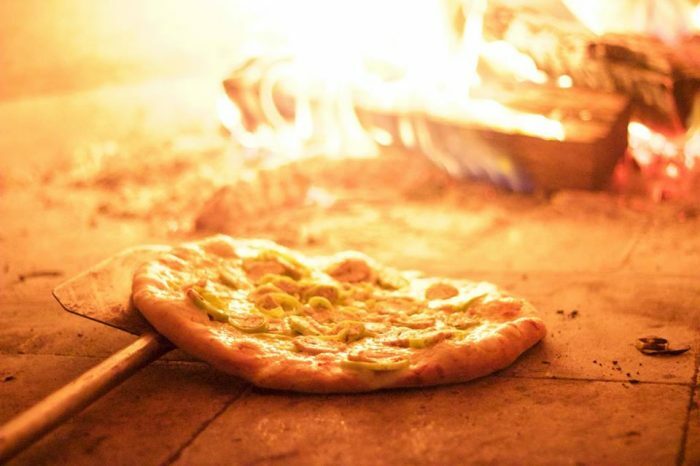 Everything on the menu is fresh cuisine with all of their pizzas starting on hand made, hand tossed dough.